Herbo attempts to give us an understanding of his life and mentality. Enjoy the visual for “Wilt Chamberlain” off Still Swervin, his joint project with Southside. Check out a quick freestyle from Westside Gunn above! Casey Veggies reminisces on the decision to remain true to himself throughout his journey with his new track “Mirage”. Along with the visual for “Kettle Pouring” above, today this buzzing duo out of the UK dropped a new project called Home Alone. These Southern Cali natives are out on the town with no worries in the visual above. Kodak is claiming his calling and his blessings on his new track “Testimony”. Dying To Live drops December 14th! 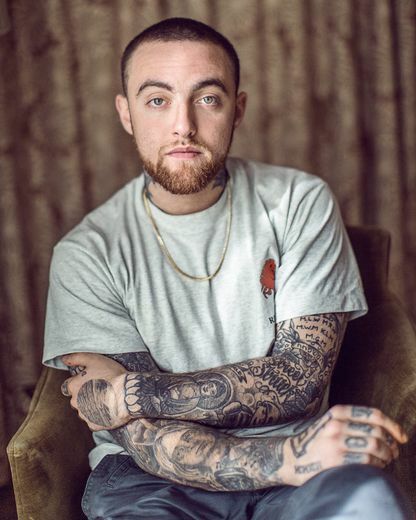 Malcolm James McCormick will be known as one of the most talented, original and honest rappers to ever do it. His music will live on FOREVER due to the hard work and pure intentions he put into every track. May his life and career be a blueprint for true artistry, and may his untimely passing teach us that life is too short not to love ourselves despite our shortcomings. My condolences to his family, friends and those of us who he touched so deeply. From the incredible 4-1P project Payroll Giovanni meets with his fellow BYLUG members for the visual to “Invisible”. Check out OMB Peezy’s newest visual for ‘Doin Bad’, off his Humble Beginnings project. Though currently incarcerated, the MMG rapper Fat Trel continues to push his music while he awaits his release. “Bachelor” produced by Yung Lan showcases his intense sound and his in your face lyrics.